“We’re turning the serious sport of tennis into fun and sweating,” explained Filip Farník, one of the Brno instructors from “Kardiotenis.cz”. 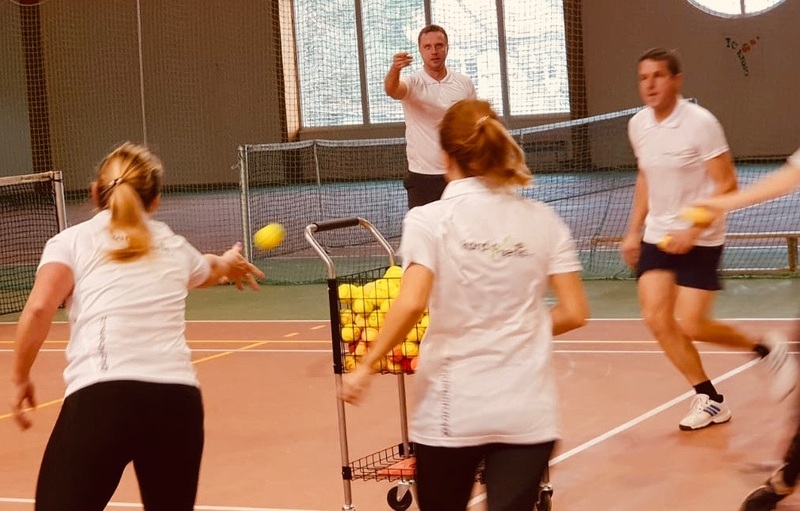 Brno, Jan 29 (BD) – Cardio tennis is a new type of exercise for groups that offers an alternative to traditional aerobic exercises such as fitness training or bodybuilding. The aim of this activity is to improve physical fitness, increase endurance, improve the look of your body, and learn how to play tennis at the same time. Cardio tennis, which originated in the United States in 2005, is described as a high energy fitness activity that combines the best features of tennis and cardiovascular exercise. “We have recently brought the concept to the Czech Republic and it is gaining more and more popularity in all age groups,” Farník says. Cardio tennis is for everyone. “Older, younger, thicker, leaner. Workouts with a musical podcast are designed for people of all ages regardless of their tennis skills or their ability to move,” said Farník. “I am a professional tennis player. I was at a cardio tennis class for the first time ever and really enjoyed it. I would recommend it to all professional players,” wrote 13-year-old Elen in a review. “This was my first exercise after giving birth three months ago. I chose the exercising pace that suited me best. The coaches were amazing, and thanks to them I enjoyed the exercise so much,” said Katka, 35, another attendee. People who want to attend cardio tennis in Brno need to be able to follow simple instructions in Czech from the friendly coaches, as the training is very dynamic and there is not enough time to translate instructions. The number of participants in every class is limited to 18 to ensure the best experience for each attendee. In Brno, people can try out cardio tennis every weekend at various sports halls. Cardio tennis in Brno – video. For more information, see the official website of Brno “Kardiotenis” Kardiotenis.cz, find them on Facebook (@kardiotenis), or follow their Instagram account for the latest updates.